Let’s go to the most famous island in the Mediterranean Sea! TravelBird is currently offering an 8-days vacation to sunny Mallorca from only 2.959 kr for you. 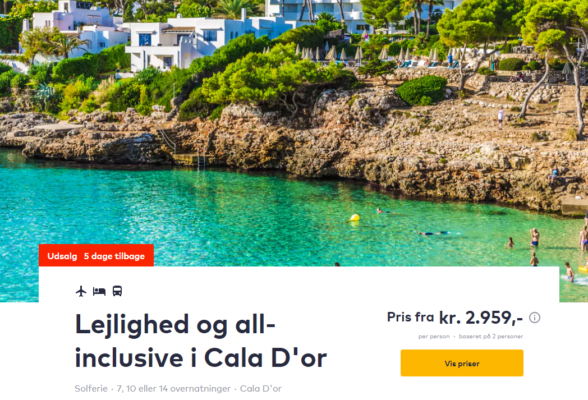 The deal includes the stay at the 4* Club Marthas Resort Ses Cases d’Or in Cala d’Or with all-inclusive board as well as the flights and transfer. Your hotel is the 4* hotel in Cala d’Or, a 3 minutes walk away from the white sandy beach. It offers a large outdoor swimming pool and sports facilities. Spend the day unwinding by the swimming pool of Club Martha’s Aparthotel and take a dip to cool off in the hot Majorcan sun. On TripAdvisor, your hotel has received a good 4 out of 5 total rating. Perhaps you would like to hire a car to explore the island on different day trips. For a day trip I can recommend you the dreamlike castle Castell de Capdepera and the city of Cala Ratjada. 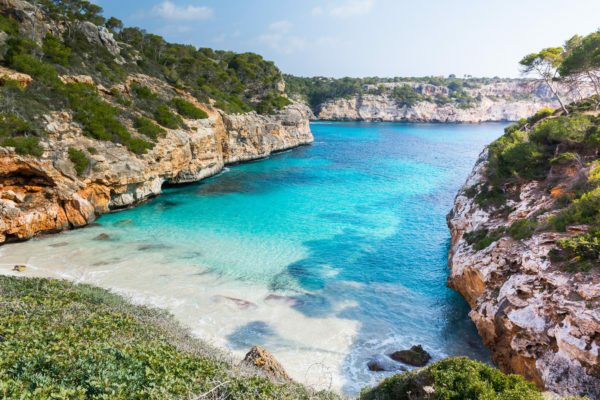 For more Mallorca tipps, just have a look in my article where I listed the 5 most beautiful beaches on the island for you. The flights are with Ryanair from Copenhagen, Hamburg, Aalborg or Billund directly to Mallorca. There are various dates available in July – October, like we’ve listed below.